Not surprisingly, the block looked deserted. The hour was too early for most users and dealers, who would still be sleeping off whatever form of intoxicant they poisoned their bodies with. The relatively few from this neighborhood holding down an honest living were hours into their day elsewhere. But give it a few more hours and the derelicts would ooze out of their burrows and conduct business on the street like they were holding court. The ramshackle three-story apartment building was probably in some phase of litigation, a few court motions removed from being condemned. More windows were broken than not, some covered and taped with cardboard cutouts, sunbursts of shards left untouched in others. Tattered sheets hung as curtains inside a few, each a different pattern and color. According to Eddie, AK Jay lived alone in a one-bedroom on the third floor. Nate pulled two extra .45 magazines from his console and tucked them in his hip pocket upon exiting the vehicle. His cell rang. He set it to vibrate and let the call go to voice mail. Eddie climbed from the vehicle with reluctance and eyed the windows as though expecting a muzzle flash. The apartments—or rather the occupants therein—had been the source of 911 calls for decades. Nate frequented the place when he had been assigned to patrol, and his former partner, now retired, had been dispatched here for many years before that. It looked more vacant now than ever. Once upon a time, probably before Walt Disney bought 27,400 acres of swamp a few miles southwest, the stairs had been covered by carpet. Years ago the carpet had been removed, and the landlord at that time hadn’t bothered to refinish the wood underneath. Decades of human detritus seeped into the grain and gummed the surface in a dark trail. The fire door leading from the stairwell to the hallway on the third floor was non-existent, one of dozens of code violations. “It’s the last door on the left,” Eddie said between wheezing gasps. The nagging vibration of Nate’s cell activated at the top of the stairs. Probably the same person who had tried to contact him a minute ago, he thought. He didn’t recognize the number. Maybe an attorney looking to depose him, or a C.I. with a tip. Maybe something meaningful. What the hell. A few seconds won’t dampen the hospitable welcome awaiting him from Florida’s premier personality, Jason Kowalski, also known as AK Jay. The pungent odor of urine wafted down the hallway, curdled his breakfast, made him regret taking the call and having to open his mouth. Breathing something that rank couldn’t be healthy. The caller was shouting. A male voice so rushed he tripped over his own words. Nate stopped, and stepped back toward the stairwell where reception was tolerable. He watched Eddie with mild diversion as the unkempt man continued to pace down the hallway littered with fast-food wrappers, cigarette butts, and dirty diapers. “No! Don’t go in there!” screamed the voice from the phone. Eddie’s light tap swung the door just a few inches. Nate’s nirvana quickly unravels when Kaitlyn’s life is threatened on two separate occasions. With no apparent motive or any evidence suggesting collusion, the police are stumped. Even more troubling to Nate, Kaitlyn is eventually convinced she is the target of unseen forces. Even with the sheriff’s resources at Nate’s disposal, the odds for Kaitlyn’s survival are not in her favor. The true enemy is virtually invisible, and Nate’s conventional police tactics have no effect on the spirit world. Strikes come from anytime, anywhere, and from random, unwittingly manipulated people. Behind it all is a deal the assassin had made with the devil: send Kaitlyn Spencer to an early grave in exchange for a fresh start. For that, the assassin will stop at nothing to uphold his end of an Unholy Bargain. 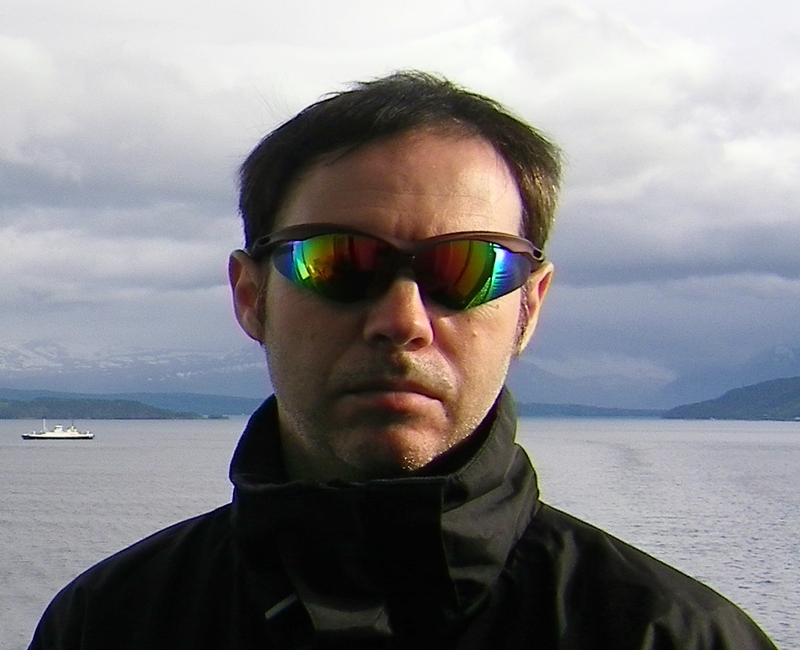 Travis Hallden Holt is a former U.S. Navy surface warfare officer and veteran of the Persian Gulf War. He’s worked the past twenty-two years in the corrections side of law enforcement, first in the prison system, then in the streets as a probation officer. He spent three years supervising felons in a south Atlanta neighborhood ranked the ninth most dangerous neighborhood in America, where one in every twelve residents becomes a victim of crime each year. 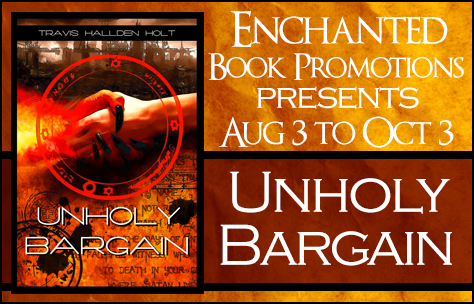 Travis is the author of Unholy Bargain, a supernatural thriller published by Blood Moon Publishing. He resides in Atlanta, GA. 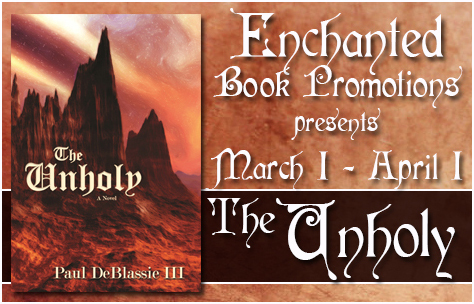 In today’s guest post, author Paul DeBlassie III talks about the background of the story in “The Unholy”. Enjoy! The story comes out of over thirty years of treating patients in psychotherapy who are survivors of the dark side of religion…have been used and abused and cast to the side. I’ve seen that when this happens people, those around the victim, to include family and friends, often turn a blind eye and deny what has happened. Rather than writing a self help book I decided to approach this realm of human suffering in fiction. To tell a story moves the reader into a deep and unconscious dimension that bypasses conscious defenses, leaving us open to truths that otherwise would be blocked. 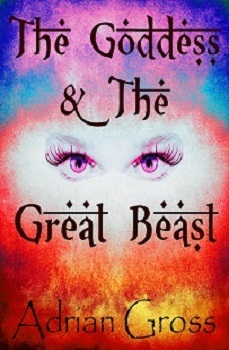 So, dramatizing the dark side of religion, pulling what can be the most vile and evil, and pivoting it against an innocent and sincerely searching soul leaves the reader on edge, hopeful, but unsure as to what will happen and who in the end will survive…a truth conveyed symbolically and dramatically. To have written out a list of what to do or not to do in the midst of religious abuse might have helped some individuals, but would have left many people stone cold because there is no emotion is such guidance. 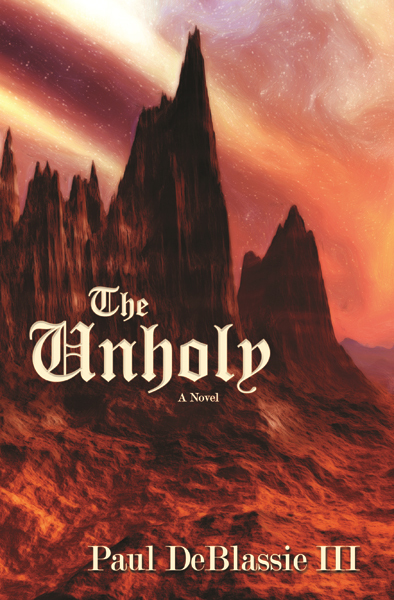 In The Unholy, the story is pure emotion, fear and rage and hope and challenge, that inspires and frightens and causes us to stay up late at night in order to finish the story. Dream and chronic nightmares plagues people who’ve gone through the horror of being abused within a religious system. It could be emotional, spiritual, physical, or sexual torment—or all of the above—a true encounter with the unholy—that people undergo during childhood or adolescence or adulthood. They become anxious, depressed, or suffer a terrible emotional breakdown. 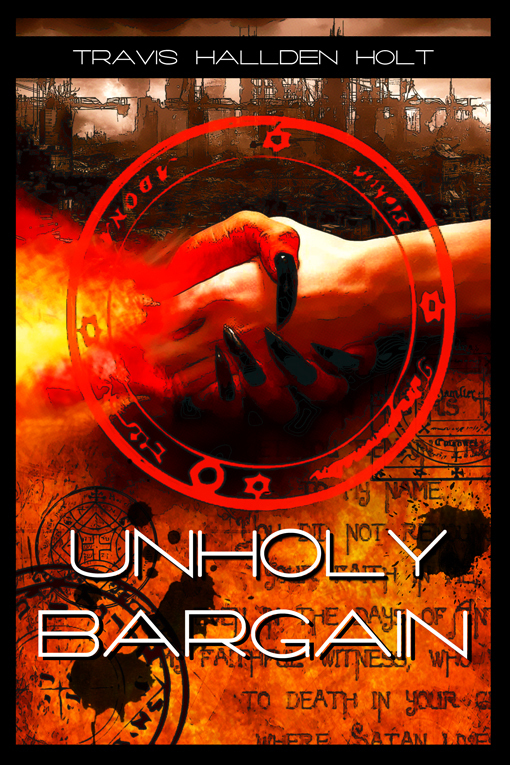 I’ve treated them, helped them, and they helped to inspire the story of The Unholy! 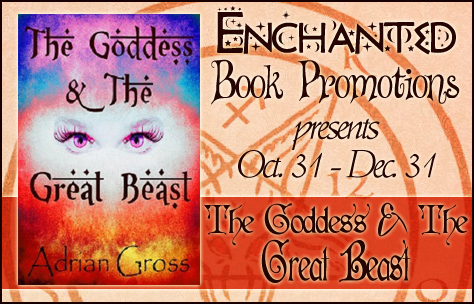 I’m hosting a guest post for the book tour for “The Goddess and the Great Beast”, a supernatural thriller by author Adrian Gross. Enjoy the guest post! Most religions advocate some form of meditative prayer. Many secular thinkers also espouse the benefits of meditation. Whether this act is designed to communicate with a god, or gods, or the individual’s inner being, the process seeks to still the wittering conscious mind in order to allow undisturbed communion with the sublime. This is no easy task, as the conscious mind is incredibly difficult to shut up, especially in the complicated overdrive of the modern world. Religion attempts to restrict man’s conscious capacity for evil by taming the rampant ego and calming his aggressive impulses. 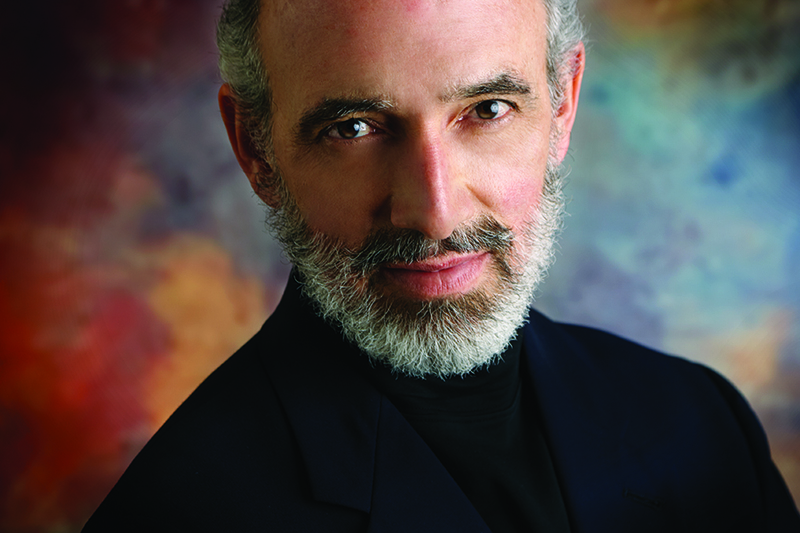 This often necessitates the use of slightly underhand techniques to force people to shackle their ego. If it is generally accepted that we all have an immortal soul which outlives the physical body, but, if we do bad things during our mortal lives then these souls will be punished for all eternity in ways we can readily understand as unpleasant, then, hopefully, we will do less bad things and our mortal lives will all be more enjoyable for it. Of course, these teachings are not always successful and, in fact, are often twisted by clever and cynical people to justify even worse things than came before. Nonetheless, the idea is to maintain some kind of acceptable social contract to the benefit of as many people as possible. Unfortunately, it would seem that as mankind develops intellectually it becomes less susceptible to these spiritual techniques. Rational, educated people are less likely to accept the existence of an undetectable and therefore unprovable concept like heaven or hell. Religion then seems antiquated and unnecessary and meditation becomes merely a distraction from daily life. Man decides he prefers the brutal pleasures of conscious carnality to the sublime calm of subconscious karma. And who knows? He may be right. If there truly is no immortal soul; no heaven, hell or Valhalla; no God, Goddess or collective unconscious, then what, really, is the point of any religious or spiritual practices? There is still no scientifically acceptable evidence of any of the above, but there is evidence of spinning elementary particles and a vast expanding universe. Neither of which have any purpose. They just exist. On the other hand, this cold, empty, random Universe of little bits of stuff floating about in space has me in it. And I can’t stop thinking of one little word that doesn’t make any scientific sense.